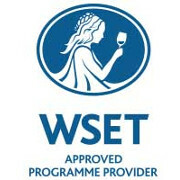 We offer a number of support materials for all students of the WSET Level 3 Award in Wine. The materials can help distance-learning students and any students that are worried about passing the Tasting Exam or want to achieve higher marks. Most are avaialble world wide. However we only ship wine within the EU. ThirtyFifty's Mock Tasting Exam marked and feedback to improve your mark, includes 2 exam wine samples. If you have already purchased any of our Tasting Support materials you can access them by logging in. Our guide to the WSET comprises 4 pages of detailed information, tips and tricks that will help students do well in their Wine Tasting Exam. When used alongside the free audio guide it gives students many practical ways to improve their Tasting Exam marks. When you purchase this pack, you will be able to download it anytime within 6 months from the date of purchase. ThirtyFifty's Audio Guide to Decoding the WSET L3 Systematic Approach to Tasting. All listeners will gain valuable insights into tasting and preparing for the their wine tasting exam. We have a number of audio tracks similar to this one that are designed to help WSET Level 3 students. You can access them here. If you are looking to improve your WSET Level 3 wine tasting skills, need to re-sit the Tasting Paper or if you are preparing for the Level 4 Diploma, do consider attending our WSET Level 3 Wine Tasting Masterclass. The Masterclass is led by ThirtyFifty's founder Chris Scott DipWSET and is a 2 hour refresher session designed to help you pass the Level 3 tasting exam with flying colours. A 2 hour Masterclass focused on Exam Technique, led by Chris Scott DipWSET. Calibrating students' taste buds with a tasting of 6 specuially chosen wines. ThirtyFifty's WSET Level 3 Wine Tasting Guide. The WSET L3 exam is optional but is included in the price. Diploma students looking for a refresh can elect to sit a mock exam if they wish with detailed feedback on there tasting note.. Numbers are limited to 5 students per class. Students who fail the optional Tasting Exam will receive detailed feedback on their tasting notes. Over 25% of marks lost in the WSET L3 Tasting Exam can be easily avoided. By sending us a tasting note you have written, we will analyse your tasting note style and provide recommendations to avoid common errors and improve your mark. This product is available worldwide but only in English. We are not able to mark whether you identified the correct acidity, colour, aromas etc. as we aren't tasting the wine! However, we will be able to advise where you have lost marks and recommend how you can improve your tasting note. After you purchase this pack you will be able to access instructions on this page. Our Mock Tasting Exam is perfect for any student who is looking to get an edge to improve their marks in the Tasting Exam. We will send you two blind wine samples that you will need to taste under Exam Conditions. Your two tasting notes will then need to be sent to us so that we can mark your Mock Exam. We will give detailed feedback on where you lost marks and suggest ways to improve your mark. This product is only available in Europe and to those who are over the legal drinking age according to their country of residence. The two Mock Exam sample wines will be shipped to the purchaser. Includes two sample wines for the exam. Marked, with detailed feedback provided.